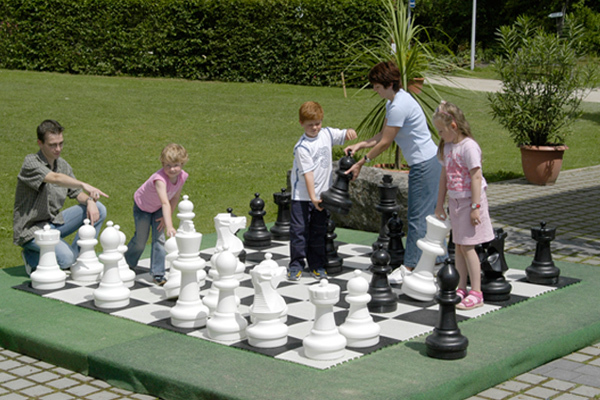 Chess is recognized in the world as the best table game and the most elegant, it is also known as the game of intellectuals. With chess we learn to organize our thoughts, because of the large number of options that are presented to us on the board, but that we must execute with synchronic and chronometric harmony if we want to obtain excellent results. The chess player comes at a certain moment to understand that the most brilliant move to obtain the victory in this wonderful game is the sacrifice, because a piece of great value is given to be able to checkmate and win the game. Also, the combination of plays, analyzed previously and executed with coldness; they are the object of admiration even by our adversaries. In an opportunity the North American Paul Morphy, that to the twenty years was recognized as the best player of the planet, traveled to Europe to participate in an international exchange of cheese In a decisive move, Morphy was meditating for more than half an hour to select his play, where he delivered the queen. His opponent in a supremático tone and of little respect expressed "This is unusual, crossed the Atlantic in a journey of several hours to come to give the lady ?!". While Morphy remained motionless, completely serene, humble. After the insolvent comment, Morphy's adversary proceeded without any scruple, nor foresight to subtract Morphy's lady from the board. Morphy retaining his serenity and humility, he effected the combination that he had studied with great caution, previously. When his adversary realized his inevitable defeat, he could not find where to hide his face, for the shameful defeat he had received, after the infamous comment he had made. Every chess player, in addition to the high degree of IQ and ability to analyze a large number of moves almost simultaneously, must maintain serenity and calm in each game of chess, but must also be respectful and humble with their opponents. So let us learn to think, learn to solve the most difficult problems that come our way in life, but above all learn to behave in the best way in the game of knights; that is, in the wonderful game of chess.